I could not have been more surprised when I heard a new anthology edited by Christina Boyd was coming out, I haven’t read Rational Creatures yet, but I had to read this one right away! 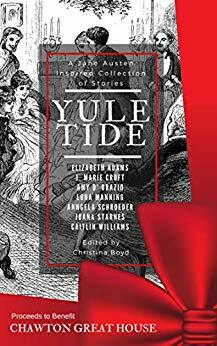 After all, Yuletide compiles different stories during Christmas time and I could let this season go by without getting into this wonderful compilation, especially because it was written by some of my favourite authors. The anthology is very diverse, you can find in it variations, sequels and modernizations, but all of them portray our favourite characters and have that special feeling that all Christmas romances have, and that transports us into a different reality. The book continues with an equally good story written by an equally talented author, Joana Starnes brings into this anthology a sequel that is cozy and warm and will make you want to read it with a hot chocolate and a fire in front of you 🙂 You will feel you are right there with the characters and you will not want to leave! Lona Manning is next in the anthology and she wrote a sequel that includes the best Anne de Bourgh character I have ever seen! Elizabeth is put to test in this story, Darcy is charming as always, but it was Anne de Bourgh that caught my heart on this one! Absolutely loved it! 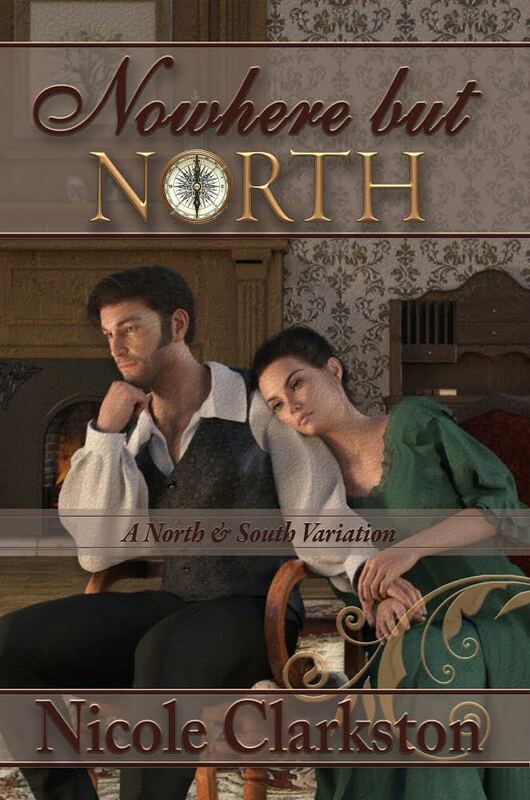 Anngela Schroeder is next on the Anthology and she brings us back to regency variations in a cleverly written story that uses wit to show Elizabeth how gullible she was. 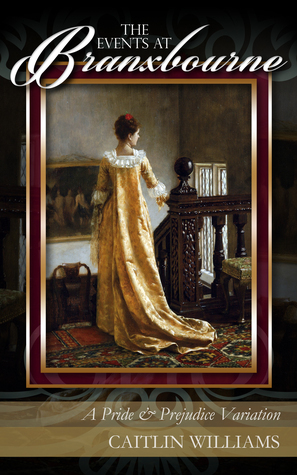 This story does one of the things I love the most in P&P variations, it teaches Elizabeth a lesson by showing her that first impressions should not define her final opinion about people. It was very well written and very well done! At last Elizabeth Adams closes the anthology with a sequel that will make you laugh and wish for more! Once again, I think this was the perfect story to close the anthology, it is entertaining, funny and it shows us just how Darcy and Elizabeth’s married life can be. Her relations are not the only ones who need to be tamed after all! This Anthology was the perfect book to finish my year, it is diverse with a little bit of everything but also consistent in the quality of the writing and the ability to keep the reader engaged. 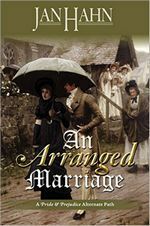 An Arranged Marriage is told from Elizabeth’s point of view with a first-person narration and the scenes are so good that I wish I could also read this story from Darcy’s perspective. This is something I feel quite frequently when the scenes are very intense or interesting and Jan Hahn is a master in creating that type of scenes! The moments between Darcy and Elizabeth are so tantalizing that I would love to know what he was thinking and feeling at each moment. In the beginning I considered Elizabeth too childish and spoiled but that impression soon went away as she started to fall in love with Mr. Darcy and resemble the Elizabeth we all know. Her character becomes very true to Austen’s creation but Jan Hahn added something else, a little jealousy 🙂 This additional feature made me love this book even more because it brought more intensity of feeling to it. The romance is exquisite and written with such eloquence that it becomes irresistible. It is slow, intense, believable, and whimsical at the same time and Jan Hahn proves once more to be an expert in this genre, writing everything one would like to see developed in a forced marriage scenario. After the angsty beginning, which is by itself another ingredient to make me love a book, Jan Hahn took the time to show us how blissfull Elizabeth’s and Darcy’s marriage was. We could read how everything ended up for all characters and we had the time to savour those delicious moments. This is very typical of Jan Hahn and once more she did not disappoint, she creates an angsty story and then gives us a little mush to balance everything and please all types of readers. Apart from Darcy and Elizabeth’s characters which I loved, the relationship between Georgiana and the Colonel was also endearing and I wanted to keep reading about it every time a new scene between them arose. I highly recommend this book to all readers! As always, Ms Hahn presents us with a quality book full of romance and intensity between Darcy and Elizabeth, a book we don’t want to let go until we finish it, and that makes us dream about it once we’ve reached the end. I would love to offer you a copy of this book, but unfortunately I don’t have an extra one, I do however have an extra paperback of The Journey, one of my favourite books from Jan Hahn, and also one of my all time favourites. I was very lucky to receive a signed copy of it and because I already had a paperback, I am now in a position to offer it to another reader. I must say it has been read so it is mildly used. If you would like to win it anyway, please comment on this post and I will enter you in the giveaway. The giveaway is open until the 16th of August. 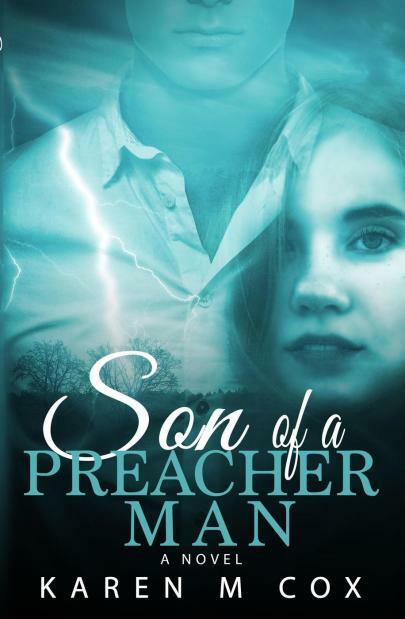 Son of a Preacher Man is a beautiful romance with an introspective tone that along with its characters take us into a journey of self discovery and acceptance from their teenage years into adulthood. It was one of my favourite books this year and I have to start this review by saying I highly recommend it to readers who are looking for a character driven novel with an unforgettable love story. I don’t usually like modernizations but I have recently started reading different era romances and I’m glad I did because I would have been missing incredible books such as this one. The story starts in the end of 1950’s in a small town called Orchard Hill where we are introduced to Billy Ray, a young man like no other with a great sense of duty, righteousness, respect and kindness, but a little naive with the ways of the world. He is the son of the preacher and that is evident in his upbringing and personality, making him the perfect catch if you ask me. The story is entirely told from his point of view so we get to know him a little better than Lizzie, the girl who is struggling to cope with the treatment she receives from the townspeople due to her reputation. Her character is hard to define, particularly because Karen Cox did an excellent job with the character developments in this novel. Both Billy Ray and Lizzie’s personality evolve throughout the story as would be expected of young people who are still learning who they are and who they want to be, and that is part of the charm with Son of a Preacher, it takes us into this beautiful path of self discovery and the characters we knew in the beginning of the book are not the ones we will find in the end, in essential they are still the same, but they have matured into sensible loving people. The secondary characters were also well-developed and interesting to read about and it’s even hard to say which one I loved the most because they were all essential to make this story so good, they were all developed in a way that made them perfectly integrated in the storyline. I loved the Quinlan family and all their members, Lilly reminded me a little of Lydia but in a charming way and Mrs Quinlan remains a mystery to me, but it was their family’s circumstances, their life, and how they responded to their difficulties that made me love them so much. We can’t call this story a P&P variation, but there are many similarities in the characters we find throughout the story and readers will be happy to see Mrs Gardiner and Richard’s interference in it or even smile at the similarity with which the male character saves the female character’s younger sister. I am the last one reviewing The Darcy Legacy on its blog tour and as I am sure you’ve noticed by now Joana Starnes is one of my favourite writers, so I believe it comes as no surprise that her latest book is a 5 star read to me. I am not saying that because I have loved the authors previous books I will automatically love all her future books, but one of the aspects that makes me love Joana Starnes’s books so much is her writing style, the ability she has to touch my heart with every sentence and to feel absorbed by the book, and no matter what the plot is, she will always carry with her those characteristics because they are part of who she is as a writer and this book proved just that. If I would have to choose the one thing I loved the most in this book I would have to say it was the characters. Joana Starnes always portrays very realistic characters with qualities but also flaws, and she did that once more. I hate to read stories with perfect Elizabeth’s and even worse, perfect Darcy’s, and that is definitely not what you will find in this book. These characters are as true to Austen as they are realistic. 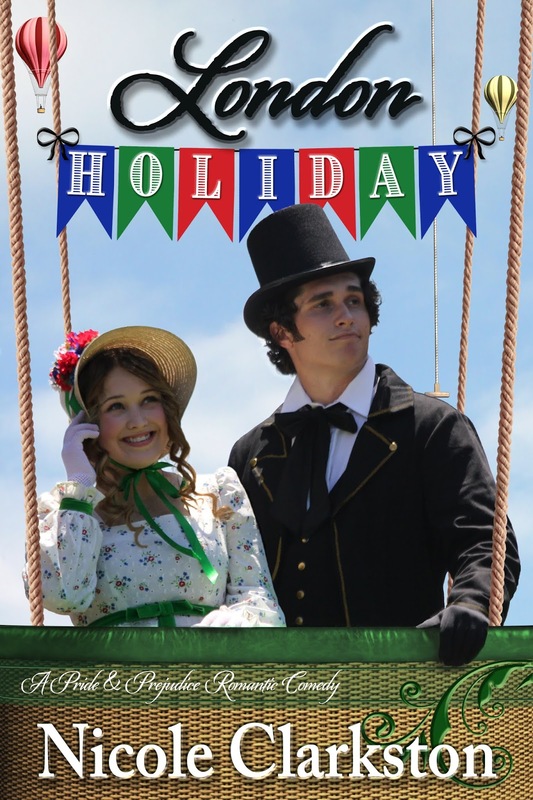 The secondary characters were also an incredible addition to The Darcy Legacy. The author brought some humanity to Lady Catherine, and once more made her a believable character with a deep affection for her daughter, even if not shown in the best of ways. I mean, why does Lady Catherine always has to be such a villain? I don’t believe that’s how Jane Austen saw her. An arrogant member of the aristocracy yes, but not a conniving villain. She believed herself better than other people, but let’s face it, that was the way of the world and even if we can criticise that attitude I think we cannot go so far as to make her a one-dimensional character with a propensity to evil. Joana Starnes excels at portraying characters exactly as they were developed by Jane Austen, no more and no less, and that is remarkably visible in this book. Anne was definitely a favourite character for me and I liked to see that she was entitled to her own story, Colonel Fitzwilliam was hilarious and Mr. Darcy senior and Mrs Darcy were also characters whose company I enjoyed in The Darcy Legacy. It was lovely to see how they finally learned to understand each other in the afterlife even if the love and tenderness for one another was already there. In this novel Darcy’s love for Elizabeth is strong and intense and I confess I adored the chapters before and after their first kiss! I loved everything about this part of the book, the dialogues, the characters, the intensity it had, the romance, and even the tenacity of both characters. I don’t usually care much about humour in a book, but I have to say that Joana Starnes’ venture into it was very successful, especially when the ghosts were involved (this is really no spoiler as you’ll know there are ghosts in the first scene of the book). The last chapters with the additional new characters and their interactions were also incredibly funny and added an interesting twist to the story. The only quibble I might have with this book is that it is slow-paced compared to the authors other novels, especially in the end, but that also gives us more time with all the characters we love, so who can complain? 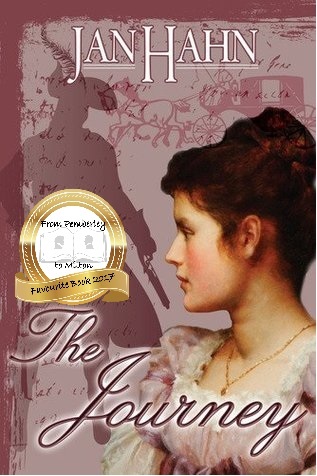 This book is definitely different from Joana Starnes’s previous works but just as good and I highly recommend it to all Janeites. She is the author of eight Austen-inspired novels: From This Day Forward ~ The Darcys of Pemberley, The Subsequent Proposal, The Second Chance, The Falmouth Connection, The Unthinkable Triangle, Miss Darcy’s Companion, Mr Bennet’s Dutiful Daughter and The Darcy Legacy, and one of the contributing authors to The Darcy Monologues, Dangerous to Know and the upcoming Rational Creatures (due in October 2018). 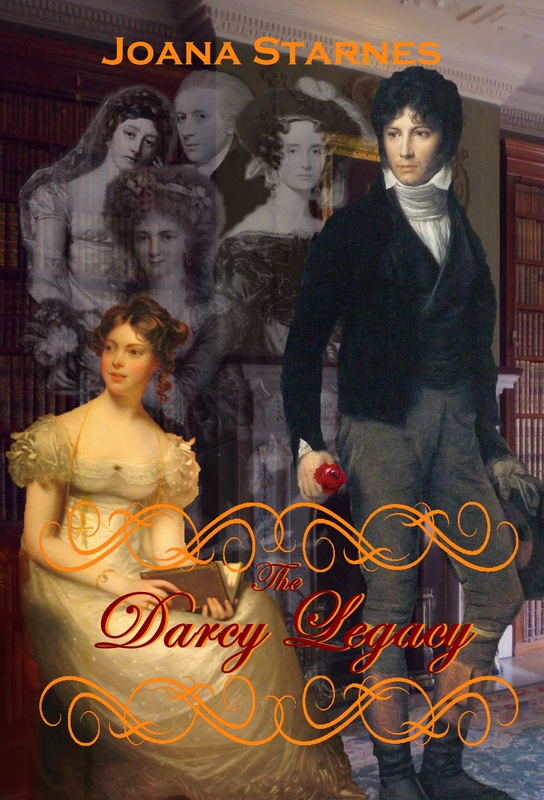 Joana is offering 10 copies of The Darcy Legacy, 20 audiobook codes, each one is good for one of her audiobooks and a $25.00 Amazon gift card. The giveaway runs until midnight, July 16, 2018 and to enter it all you have to do is comment on this post and click here. The initial chapter of The Events at Branxbourne is one of the best, if not the very best, I’ve ever read! It is gripping, profound and heartbreaking… we don’t know how Elizabeth got to the point she is in this chapter, but we want to know! We want to know everything and we can’t stop reading until we do! 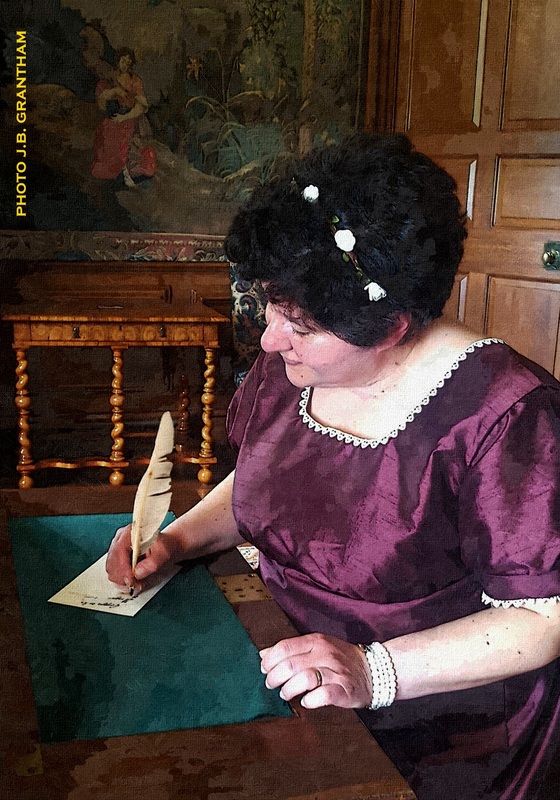 The events at Branxbourne take place in 1817 with an older version of Darcy and Elizabeth, who have changed due to the circumstances of live, but who remain the same in essentials. I always love to read books with older versions of these characters and Ms. William’s did not disappoint while developing them, she changed what had to be changed to be consistent with the plot, but kept true to Austen’s work giving us a story of second chances and hope for the lost love. We don’t know exactly what happened after the Hunsford proposal because the events are only revealed later in the book, what we do know is that Elizabeth is now married to another man, Mr. Darcy remains single and they are neighbors in London which will obviously cause them to meet quite often. When these characters reunite, they know there is no longer any hope for them, but that is not enough to erase a love as strong as theirs and they find themselves drawn to one another. With each encounter their feelings grow and even if this is an angsty book with a darker side, the reader will find many romantic moments between these characters which will become addictive. We keep hoping for the next moment to see what will happen, what they will say or even what they will not say. It is tantalizing! The chapters shift between Darcy’s and Elizabeth’s POV which is an interesting approach because not only it intensifies the curiosity and interest towards the story but also because it allows us to get to know both characters better. It makes the book dynamic and it helps keeping the tone of it mysterious, dark and intense. The secondary characters deserve a shout out too, namely Albert and Colonel Fitzwilliam. Not only they had an interesting story of their own, but their interactions with the main characters made this book a stout literary work. I enjoyed to see the openness and sincerity in the Colonel’s relationship with Darcy and the strange but evolutive relationship between Albert and Elizabeth. A few other characters like the flower girl are worth mentioning but my favourites were definitely these two. The premise in this book is certainly different, but it’s not just that that grabs our attention from the beginning, it is Caitlin Williams’ writing. Her writing is exquisite, it is the kind of writing that is not taught, either authors have it or they don’t, and with a book that is this memorable and poignant Caitlin William has proven that she is an author born with an incredible talent. The writing in this book reminded me of the tone in Death of a Bachelor in The Darcy Monologues and is memorable! With a magnetic pull that kept me emotionally invested from the first paragraph until the last one, The Events at Branxbourne is the best book I’ve read this year. It should not, and it cannot be missed. I highly recommend it to readers looking for a quality romance novel and I would give it 10 stars if I could! The blog tour is almost over but there is still one extra stop at Mira’s Blog Obsessed With Mr. Darcy, don’t forget to visit it to see what she thinks of this book and for an additional entry on the giveaway. 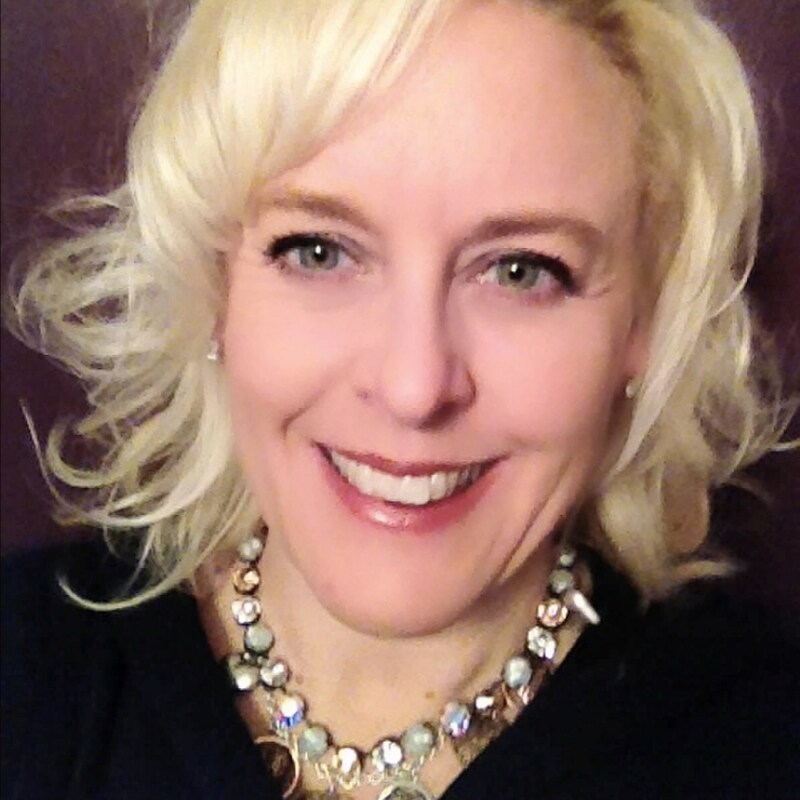 For our giveaway, Caitlin Williams is offering a $100.00 Amazon gift card as a giveaway. To enter the giveaway please click on the following Rafflecopter link. Readers may enter the drawing by tweeting once each day and by commenting daily on a blog post or review attached to this tour. Entrants must provide the name of the blog where they commented. One winner will be randomly selected by Rafflecopter and the giveaway is international. London Holiday started out as a light comedy novel but as I continued reading, it surprised me by becoming a tender and enchanting romance. Nicole Clarkston has shown with this book an incredible ability to diversify her work maintaining a consistency when it comes to the writing quality and character development. The angst in this book is very low and London Holiday could not be more different from These Dreams, but it is equality good due to the quality of the dialogues, the tenderness of the scenes between Darcy and Elizabeth and the perfect pace and connection between all plots. These Dreams remains one of my all time favourite JAFF books but I believe the tone in London Holiday is much more consensual and will appeal to a bigger range of readers being a perfect romance between Darcy and Elizabeth. Nicole Clarskton didn’t lose time with unnecessary secondary characters in this novel as it is very Darcy and Elizabeth centered, and as always her prose allowed us to see their feelings grow and to accompany them in this journey without any effort. The reader doesn’t need to be told what is happening in each of their hearts and minds, the reader is right there with the characters through the authors gripping writing, and not only knows what their are feeling, but also feels it in his heart as well. The dialogues between Darcy and Elizabeth are witty and perfect in every way, everything is proper between them, and their flirting, when it happens, is natural and believable. They get to know each other and open their hearts and minds in a most tender way that the majority of readers will find irresistible. Every piece of information and scene appears to fit perfectly in the entire story which seems to have been crafted with great care, and this is one day in Darcy’s life that no one will forget. 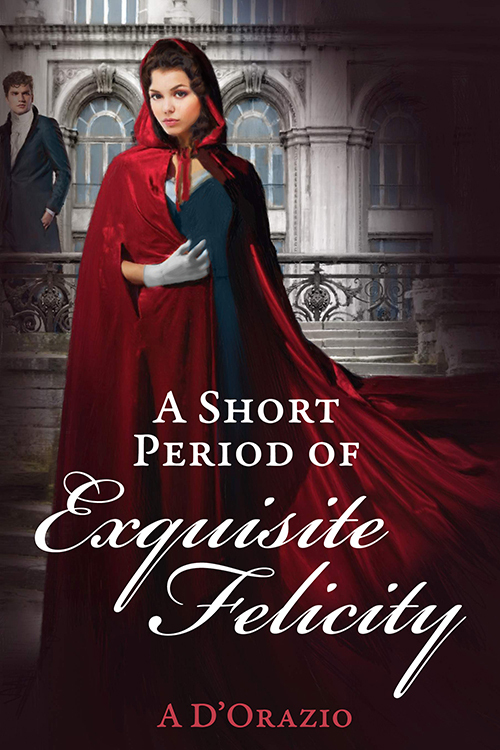 Nicole Clarkston did it again, she brought to her readers an effortless masterpiece that reveals how comfortable she is bringing Darcy and Elizabeth to life. I have to start this review by saying that The Journey is absolutely perfect! There isn’t one single aspect I disliked in this book, in fact my feelings are quite the opposite as I loved pretty much everything in it. If I could give it a 10 star rating I would, but as that is off the scale, let me say this is a solid 5 star book that will keep readers entertained for an entire day. The beginning of The Journey is worthy of an Hollywood production. The first page is so exciting that it made me want to read more of the book, and as I continued reading it, I could not stop because the more I read the more I wanted to read. This book is probably one of the biggest page turners I have ever read in my life, I’ve read it twice and the need to continue reading non-stop did not abade the second time. In this story, right after the Netherfield Ball, Elizabeth begins a journey to visit her relations in London in Mr. Bingley’s carriage with his sisters and Mr. Darcy, when they encounter a band of highwaymen who threaten to abduct Elizabeth for their own amusement. Mr. Darcy immediately steps forward and offers himself as a hostage in her place, but when this is ineffective, he proclaims she is his wife in order to protect her. The highwaymen then decide to abduct them both to request a ransom, and this is how the most exciting and passionate journey begins. Darcy and Elizabeth are forced to spend a lot of time together while confined in the room they are being held and there they learn more about each other and their own feelings, but that is not the entire story. The book will go beyond their abduction, and once they are back in society, they will be faced with very difficult choices that will keep the story as exciting as it was until this moment. The dialogues in this book are witty and interesting and Mr. Darcy assumes the role of a protector than can only be described as the sexiest thing possible. He is the perfect gentleman in this book, but he is not perfect and by respecting his imperfections, Jan Hahn has mastered the art of creating the perfect Darcy. Plus, he is faced with jealousy in this book which is always a plus in a JAFF novel for me. With this premise it comes as no surprise that Darcy and Elizabeth have many interactions with one another and that it allows them to slowly fall in love with one another, but the art in this book is that we are not just told by the author they love each other, we can see and feel it happening in the pages we are turning as if the pages themselves were pouring feelings. I could feel my heart break into a million pieces at a certain point in the book and until this moment I cannot explain how it is possible for an author to convey so many emotions, and so intense, as the ones Jan Hahn created with mere words. I don’t know how a scene could be more perfect than the one that made me feel this way, and I have to congratulate Ms. Hahn on her mastery. 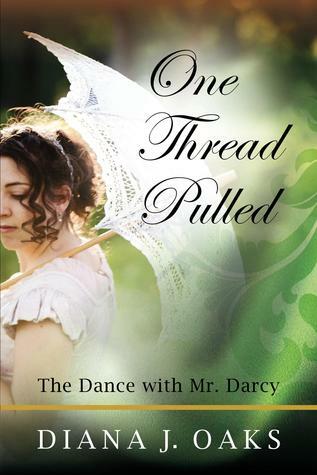 I love the connection Mr. Darcy and Elizabeth establish in this book and the fact that Darcy discovers about Elizabeth’s refusal of Mr. Collins proposal very early in the story. I always love books where that happens because I think it is crucial for Darcy to better understand Elizabeth and to speed up his admiration for her, also it could be the trigger for him to realize he could lose her to someone else, so adding this detail to the story made me love it even more. The entire book is told from Elizabeth’s perspective but in the end we can see Darcy remembering what he felt or thought during the journey which was a sweet gift the author offered us. The book is filled with angst, but after the turbulence Jan Hahn takes the time to show readers how blissful Darcy and Elizabeth’s lives can be. Nothing is rushed or out of place in Jan Hahn’s books and this is no exception. After a very angsty story, with many Darcy/Elizabeth moments, we are gifted with their happy reunion and can enjoy it for several chapters before it ends. We also get to know what happened to all the other characters in the book, which gives us some contentment when reading the last phrase. I could not recommend this book enough for any reader looking for an exciting, romantic and passionate tale. What if Elizabeth never heard Darcy’s slight at the Meryton Assembly? How would the story and their relationship unfold if this little detail was different? Diana J. Oaks starts with this premise and adds small changes to the plot that make the outcome of this book very interesting. For example, Jane doesn’t get a cold when she goes to Netherfield, she hits her head when she falls from a horse, and Mr. Darcy shows a true concern for her health. Also, Mary falls in love with Mr. Collins and tries to conquer him with Elizabeth’s help, which creates the most amusing scenes and has extraordinary consequences, not only in the conquest of Mr. Collins, but also in the relationship between the Bennet sisters. These small changes in the story are one of the aspects I loved the most in this book as they make it unpredictable but agreeable to read with a believable story and characters that remain true to themselves. The other aspect I absolutely loved about the book was the love story between Darcy and Elizabeth. Their love is realistic and believable but also sweet and passionate at the same time, it is touching but with some anguish making it halfway between the hot mush and the angst. The scene when Darcy and Elizabeth meet at Oakham Mount is an endearing and loving scene that exemplifies what I am saying, and it was probably one of my favourite scenes in the entire book. If you haven’t read this book yet, you are luckier than me, you will have the pleasure of reading them both without interruptions.